Owe More On Your Mortgage Than Your Home Is Worth? A new, limited-time, federally funded initiative may be able to help. 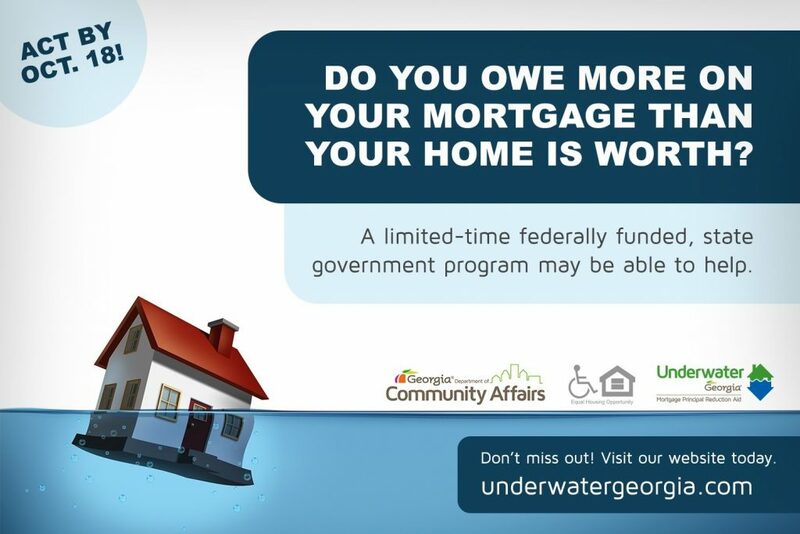 Underwater Georgia is a new federally funded state program for Georgia homeowners who owe more money on their mortgage than their home is worth. For eligible applicants, the program may be able to provide a one-time payment of up to $50,000 to the mortgage lender to reduce the principal balance on the home. To qualify, a homeowner must file a pre- application by October 18, 2016. The property must be your primary residence (and only home) and purchased prior to January 1, 2012. The total amount owed on all mortgages on the home must be $250,000 or less and mortgage payments have to be less than 90 days past due. Total gross household income must not exceed 140 percent of the Area Median Income (AMI). The property must have a total loan to value (LTV) ratio of at least 110 percent. You cannot have received assistance previously through HomeSafe Georgia. Visit underwatergeorgia.org. There, you can review full program requirements and complete a pre- qualification quiz, which will help you determine whether you are likely to qualify. Submit a pre-application by October 18, which asks for your contact information and details including when you purchased your home, its value and mortgage balance and more. submitted. 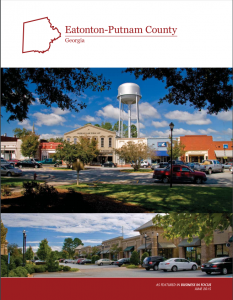 Representatives from the Georgia Department of Community Affairs will contact homeowners selected and work with them directly to complete a full application, which also includes submitting supporting documentation.